I’ve mentioned Ponce De Leon Park in Punta Gorda before. The park itself is nice enough with a seawalled sunbathing area, boat ramp, picnic tables and the Peace River Wildlife Center. But, walk to the end of the seawall from the parking lot and you will find the shore path. This was taken today with a very low water level due to the strong north winds. Normally, you can only walk on the white sand at the right side of the picture but, today, you could see the gentle slope of the shore. Wearing shoes you don’t mind getting wet greatly expands your opportunities. 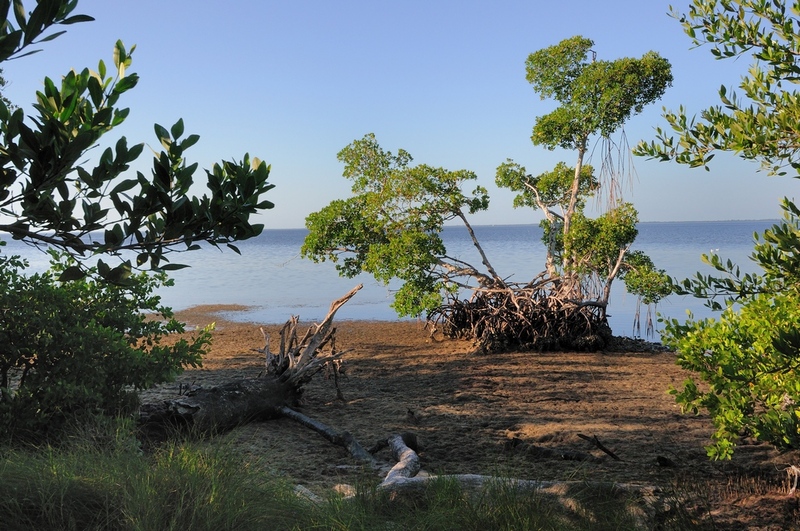 The Charlotte Harbor Environmental Center often runs wading exploration trips here. 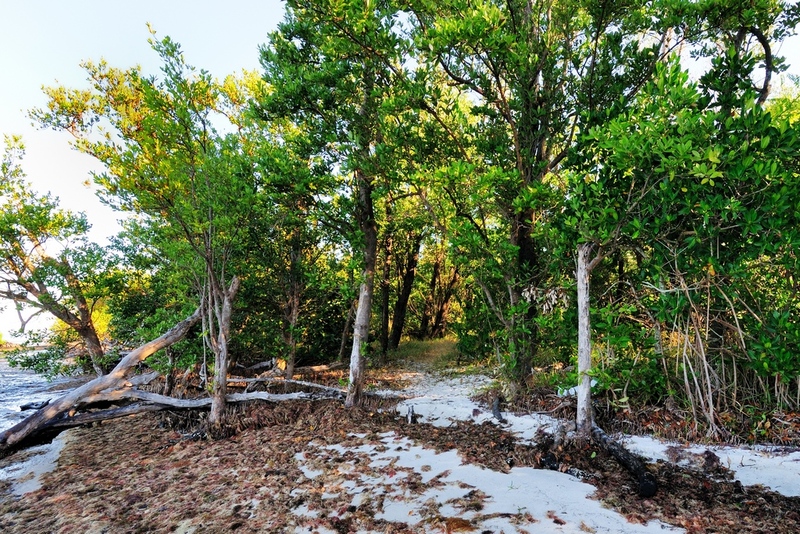 The path enters the mangroves at the end of the white sand and meanders through them with little sidepaths from time to time. The total length of the path is less than half a mile. It is not wheelchair accessible. This is a closer look at the entrance to the mangroves. At this point, the path is wide and stays close to the harbor. Not too far along, the path becomes rough and wandering but always passable with a little ducking under branches and stepping over fallen trunks. 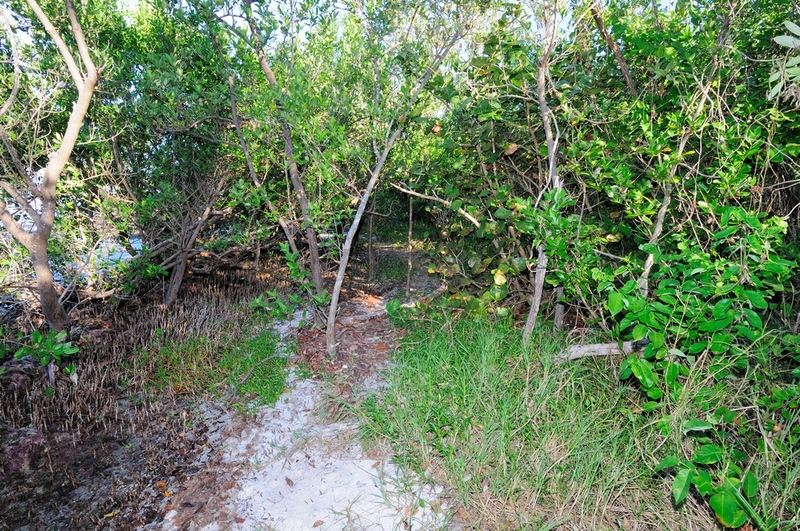 Along the way, there are side paths which lead to the harbor or into the mangroves. The paths to the harbor provide some natural cover for shooting the shorebirds and other waterfowl. This morning, I found that the Hooded Mergansers had arrived and were feeding in the shallows with gulls and egrets. The sidepaths also open into great views of the harbor. 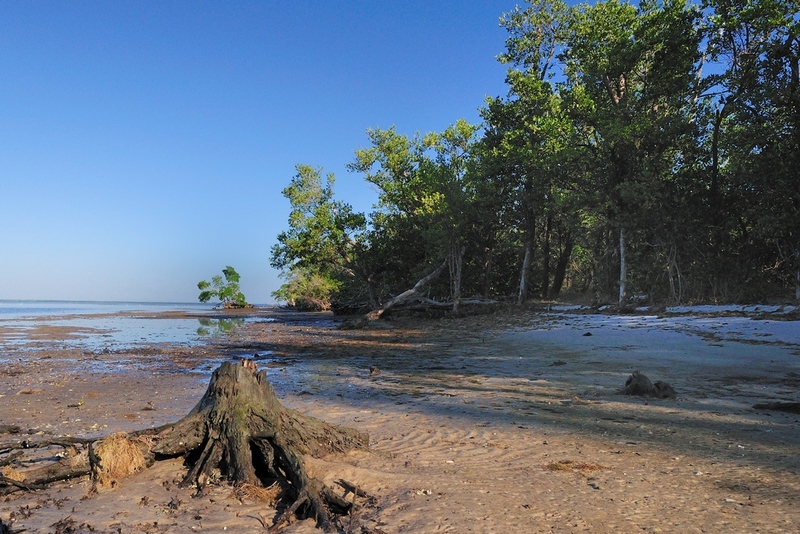 This cluster of mangroves usually has it’s roots submerged but, with the low water today, it was full exposed. The shore walk may not be the most obvious thing to see in Ponce Park, but, it is one of the nicest. This entry was posted in Park, Park - Ponce de Leon and tagged Photography, Ponce de Leon Park. Bookmark the permalink.